Do you need equipment for an upcoming event? The physical properties of the two different gases require that when changing from one fuel to another, that changes be made to the system to accommodate it. Simply put, propane is heavier than air and natural gas is lighter than air, and these changes affect the sizing of the gas lines from the outside of the house to the burner tips. 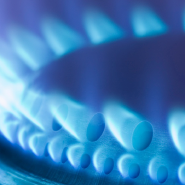 The result in MOST cases is that the gas lines run to propane (LP) units are smaller and require a larger gas line to be run to operate the same appliance on natural gas. So, if a ½” line is run into your house from outside currently, at least a ¾” line will be needed to run the same appliances in your home properly after the conversion to natural gas. You saw above in the bold print the word “MOST”. This is because it is absolutely critical that your home be correctly sized for the transition from propane (LP) to natural gas. In some cases, certain parts of the gas lines will be correctly sized and can be used in this transition process, while in other cases the lines will need to be removed and larger line installed. Only licensed installers should do the sizing and they are the only ones certified to do the installation work! Undersized lines can cause a variety of problems in your home with respect to how your gas appliances do not operate properly when starved for fuel. When there is not enough gas to mix with the air in the burner, sooting can result. 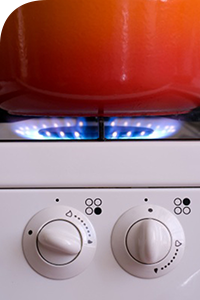 Another issue to be addressed is the proper conversion of gas appliances from propane (LP) to natural gas with the use of special regulators and orifices that allow the proper amount of gas into the burner so that it can burn correctly. NOT ALL APPLIANCES CAN BE CONVERTED! Depending on age of unit, make and model of appliance and type of appliance (hot water heater, gas log, furnace), some have conversion kits available and some do not. These should only be put on by factory authorized appliance representatives or certified Natural Gas installers. Pemberton Appliance Co., Inc. is certified in both Maryland and Virginia in both propane and Natural Gas installations. We sell, service and install all types of gas appliances both propane (LP) and natural gas and run gas lines for the appliances as well. We also coordinate tie-in service with your respective fuel supplier, so that we are your full service, one-stop shop. From generators to grills, logs to gas lights and all the gas lines in between we can help you with all your gas needs.